Luxury Loft, Downtown Living! A modern interpretation of Downtown Ocala loft living, this gorgeous, light-filled two-bedroom, one-bathroom Condo offers an expansive floor plan, green design and chic contemporary finishes The Interior is locally designed, perfectly paired and included.You'll be impressed by the grand scale of the home the moment you arrive on the upper level via elevator. In the sunny, south-facing great room, ceilings soar 13 feet high and polished concrete floors run underfoot. The private balcony view of Downtown provides a warm focal point, and massive windows deliver both breathtaking open-sky views and temperature control. The open Scandinavian inspired kitchen is an exercise in stylish minimalism with sleek white cabinetry, a massive island and a full complementof stainless steel appliances by Kitchenaid. 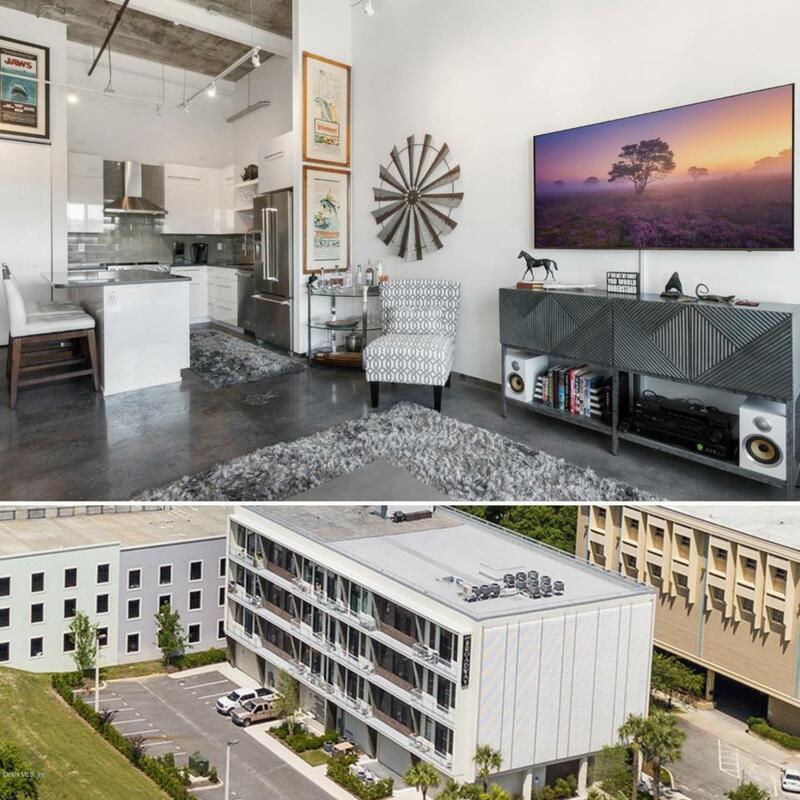 The 302 Broadway condominium is a boutique collection of 18 modern loft residences embracing sustainable living. Residents of the pet-friendly, elevator building enjoy a private well appointed lobby, private storage, dedicated parking, and rooftop terrace. Situated on a lovely downtown block, just steps from the square, this location offers the ideal mix of Downtown allure and open green space. The Downtown Square and Citizens circle are within easy reach, and innumerable buzzy restaurants and nightlife destinations line the nearby blocks. Listing provided courtesy of Anthony Alfarone of Keller Williams Cornerstone Real Estate.